Consultant General and Upper Gastrointestinal Surgeon in Birmingham; working at the Queen Elizabeth Hospital as an NHS Consultant and Privately at the BMI Edgbaston Hospital. I’m a Consultant Upper GI Surgeon working at the Queen Elizabeth Hospital as an NHS Consultant and Privately at the BMI Edgbaston Hospital. My areas of specialist expertise are Upper Gastrointestinal Surgery (Reflux disease, Hiatus Hernia, Gallbladder diseases, Oesophageal and Gastric Cancer, Achalasia) and General Surgery (Abdominal Hernias, Lump and Bumps, Emergency Surgery) as well as performing diagnostic and therapeutic upper gastrointestinal Endoscopy. 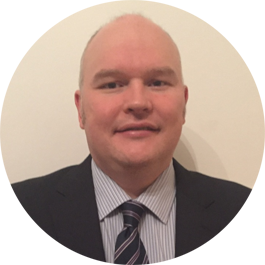 Mr Ewen Griffiths is a JAG accredited Upper GI Endoscopist and regularly performs both diagnostic and therapeutic endoscopy. I commonly operate on abdominal hernias using laparoscopic (keyhole) and traditional open techniques. I routinely perform keyhole surgery to repair both small and large hiatus hernias. Gastro-oesophageal reflux disease (GORD) is a general term describing acid reflux, with or without oesophagitis (burning of the gullet). The main treatment options for Achalasia are a Balloon Dilatation or surgery (Heller’s laparoscopic cardiomyotomy). Mr Griffiths, I would like to offer my heartfelt thanks for giving me both relief from my ‘Gastric’ problem, via stomach bypass, I very much have improved quality of life. To Mr Griffiths and his wonderful team. Just a few words to thank you all for your wonderful skills and for giving me the chance to live a normal life. You will never know how grateful me and my wife and family are. Many thanks.